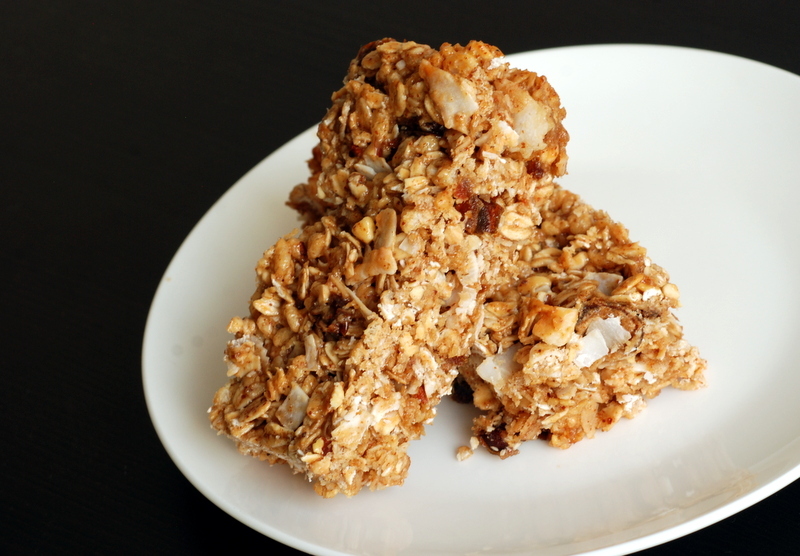 The summer is when I typically make my snack bars, aligning with my cycling adventures. However since I broke my ankle last year, I haven’t been cycling the long distances. I still cycle to work with is a very manageable 16 km, round-trip. Lately, I have a few extra meetings downtown, though, which has added an extra 18 km to my commute a few times each week. By the third day in a row, my legs can feel it! Having these extra snacks on hand have been very helpful. I used Isa’s recipe from Isa Does It as a guide. They were a bit too sweet as written so I decreased the maple syrup and brown rice syrup to compensate. I also swapped lemon extract for the coconut extract for a fun twist. I am a big fan of sweet lemon treats and these hit the spot. 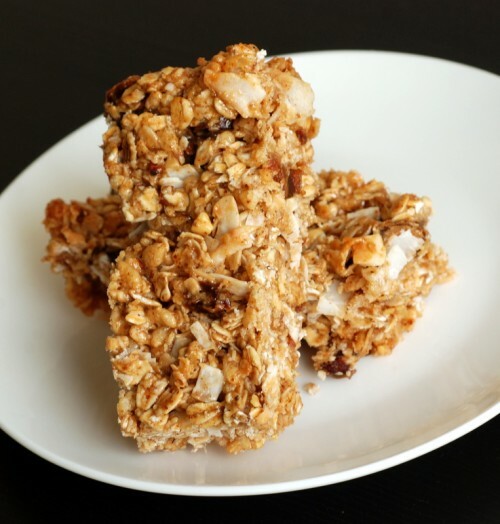 Do you have a favourite snack bar? 1. Preheat oven to 350F. Line an 8-inch square baking pan with parchment paper. 2. In a large bowl, stir together the almond butter, maple syrup and brown rice syrup until smooth. Stir in the oil, extract and salt. 3. Using a fork and eventually your hands, mix the oats and crisp rice cereal. Stir in the coconut and dates and knead until well distributed. 4. Transfer the mixture to the parchment-lined pan and spread evenly in the pan. Use your fingers to press the mixture in firmly. 5. bake for 22-25 minutes until the sides are golden. 6. Remove from the head and allow to cool completely in the pan. To remove from the pan, lift form the parchment paper. Use a chef’s knife to slice into 8 bars. Individually wrap in saran wrap for easy transportation and store in the fridge for up to a week. these look super tasty! I need to stop buying granola bars! I’ve been trying to bike more… mind you, it probably only adds up to about 20km a week. Wowzers you bike a lot. That’s awesome. And it’s getting chilly your way.